A national collaboration of electronic engineers and computer scientists is aiming to develop the next generation of energy-efficient computing systems. PRiME: Power-efficient, Reliable, Many-core Embedded systems, brings together four world-leading research groups from the Universities of Southampton, Imperial College, Manchester and Newcastle. The five-year £5.6m Engineering and Physical Sciences Research Council (EPSRC) funded project will undertake creative research into the design and implementation of energy-efficient and dependable embedded systems with many-core processors. Many-core processing - computer systems with hundreds of microprocessors - has applications in embedded, mobile, general-purpose and high-performance computing, and is widely recognised as the future of computing. Professor Bashir Al-Hashimi from the University of Southampton and Director of PRiME, says: “Electronics and software have a tremendous impact on life, from the internet to consumer electronics, healthcare and transportation. Embedded systems, many of which will be low-power mobile devices, will be one of the most powerful tools in tackling global societal challenges. “However, while many-core processing is viewed as a way to improve the performance of computing systems, the energy consumption and reliability of these systems with hundreds or thousands of cores has yet to be fully understood. A key component of PRiME is the close connection and interplay between world-leading research and the involvement of industry to identify and translate technology outcomes from this programme to commercial exploitation quickly and efficiently. The UK electronics industry is worth £23 billion a year and is the fifth largest in the world. Within embedded systems, the UK is the world-leader thanks to the presence of ARM Ltd and Imagination, both collaborators on this proposal, as well as software and embedded system companies (e.g. Microsoft Research, Freescale and Altera). This research is essential in enabling industrial collaborators to compete in the future many-core market. PRiME will also develop the next generation of researchers and leaders by exposing investigators, research fellows and PhD students to a highly stimulating environment, in which research is expected to be both world-leading in terms of academic quality and also have industrial relevance. Research results will be disseminated through high impact publications, workshops, and invited talks at major international conferences. The PRiME team has a proven record of academic excellence, having produced more than 1,000 publications, successfully graduated more than 90 PhD students, and held EPSRC research grants as PIs worth £17 million over the last three years (presently £11 million). The investigators' work continues to inform the latest developments in their respective fields. 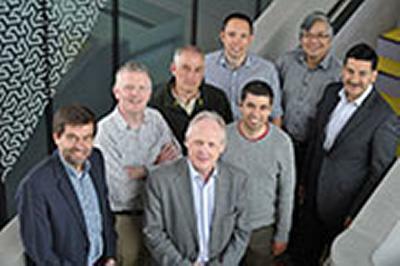 The team consists of: Professor Bashir Al-Hashimi, Professor Michael Butler, Dr Geoff Merrett (University of Southampton); Dr George Constantinides and Professor Peter Cheung (Imperial College); Professor Steve Furber and Dr James Garside (University of Manchester); Professor Alex Yakovlev and Professor Alexander Romanovsky (University of Newcastle).